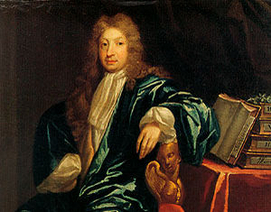 Named in honor of John Dryden, the English poet laureate whose words inspired Baroque composers including Purcell and Handel, the Dryden Ensemble specializes in performing music of the 17th and 18th centuries on period instruments. 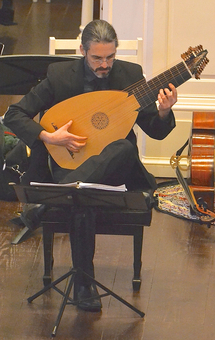 A line from Dryden's Song to St. Cecilia captures the essence of baroque music and our ensemble's philosophy: "What Passion cannot Musick raise and quell!" 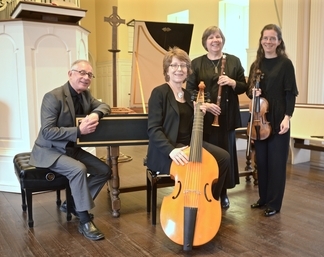 The Dryden Ensemble was incorporated as a New Jersey Non-Profit Corporation in 1994 and received 501(c)(3) tax-exempt status from the IRS in February, 1995. The organization is a registered charity. Dryden Ensemble from Art Varga on Vimeo. 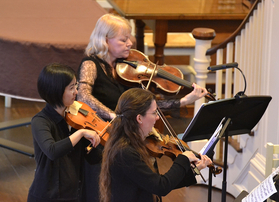 Please consider making a tax-deductible contribution to the Dryden Ensemble.